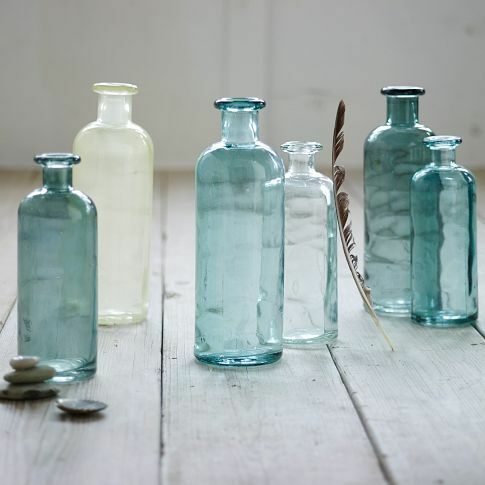 Hello pretty blue bottles from West Elm that can hold all my favorite fern and flower clippings this summer all the while looking like sea glass. I am coming to get you! Pottery Barn...I'm Just Not That Into You. Maybe it's not you, Pottery Barn, it's me. You deserve better. Is it because you're in the suburbs that you think every last piece of furniture in your lobby needs to be draped with 10cent fake flowers? It's as if we went back 15 years in decorating time and you care more about barfing up the same Halloween crap than inspiring us enough to actually spend our little bit of extra money with you. And I can't wait to see the reindeer plates again at Christmas. So, Pottery Barn, I'm breaking up with you. And I'm one of the few that held on until the last minute, believing you would get yourself together and be a quick stop for me and clients to pop in and pick up a few special things. I will be dating your cousin, though. 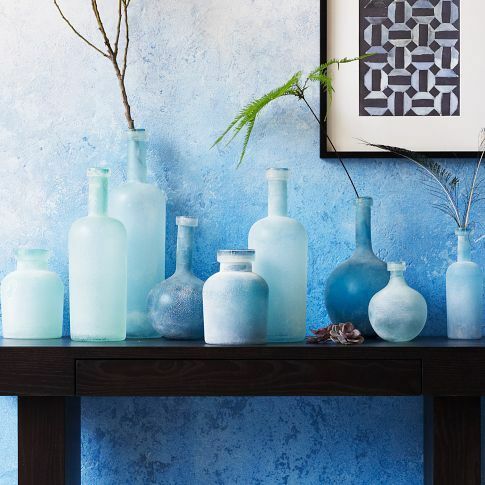 West Elm is hot! This Dhurrie Ottoman has "shapely legs and unlimited potential". This Carved Wood Coffee Table is "rare, exotic and unusual". These Dip Dyed Throws look cuddley and soft. And the ombre feels a little hip and edgy. And Sun Print Dessert Plates. You know I love a unique artsy fartsy vibe. And Adjustable Floating Frames to hold our love letters. 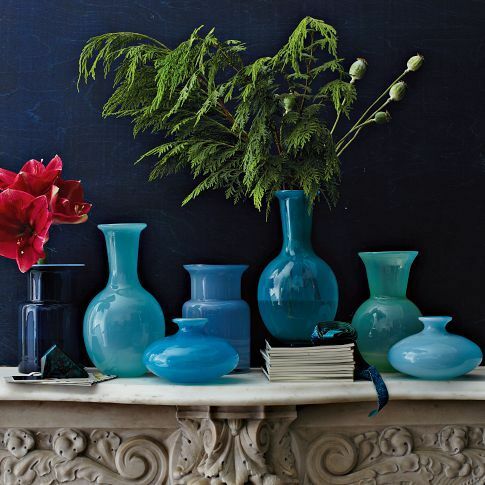 Opal Glass vase collection..."luminous and striking" it glows in the light...so pretty. For my peeps in the hood, West Elm is worth the drive and their transitional style will mix in easily with your existing decor and freshen things up a bit. Here's to a long loving relationship!